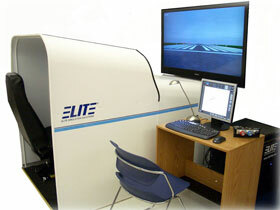 Airline Transport Professionals (ATP) today announced the delivery of five new ELITE RC-1 Training Systems. The RC-1 system is a full-featured Advanced Aviation Training Device (AATD) with life-size, high-resolution instruments, cockpit enclosure and an external visual system with a large-screen display. Each RC-1 includes simple, complex and twin-engine aircraft modules with associated three and six-lever throttle quadrants. ATP elected to add the option of Garmin GNS 430 GPS which will increase the quality of the training experience in the RC-1. The AATDs will be located at ATP’s training centers in Ft. Lauderdale, FL, Panama City, FL, Arlington, TX, Addison, TX and Raleigh-Durham, NC. ATP currently delivers more pilots to the regional airlines than any other single flight school, college, or academy. The company is successful through the efficient immersion of students in multi-engine airline-style flight training over a short time frame. The benefit for the customer is the best training on the market at an extremely competitive price. Offering a great value in flight simulation today, the RC-1 will aid the company in meeting its strategic goals.